When the Amazon Kindle was first introduced, many people were calling it “the iPad killer.” I remember when I first saw it I realized that while it has many cool features, it had two major drawbacks; the screen is too small for note taking and the screen is backlit. When I bought my iPad 1 two years ago, I decided to try reading a few books on it with the Kindle app and with iBooks. While nice (I especially liked the way the pages turned in iBooks), my eyes got tired very quickly. Reading at night was rough because the screen was so bright it was like having a giant nightlight in my room. Bottom line, I’ll stick to my Kindle Touch and its e-ink screen when it comes to reading. This brings me back to Apple’s reaction to the Kindle Fire. 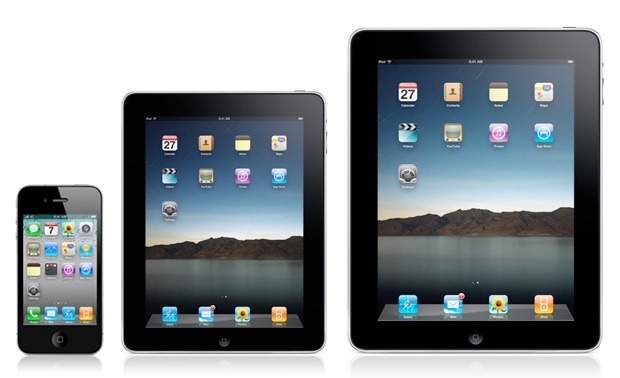 They believe the answer is to create a smaller iPad that could compete with the Kindle Fire. What I don’t like about this is that Apple has always been the leader, not the follower when it comes to their iOS devices (iPhone, iTouch, iPad). Instead of making a version of an iPad that has a smaller screen but still too big to fit in a pocket (think Samsung Galaxy Note here), I think Apple needs to make an iPad version with a larger screen. I’m thinking somewhere between a yellow legal pad and a small laptop. Here’s my rationale. The iPad is being used more and more in both business and education as a note taking device. By using a stylus and a note taking app, users are moving from paper printouts with notes to complete digital notebooks. The limitation here is screen size. Instead of taking notes on a 8.5″ x 11″ piece of paper, it’s like taking notes on a 5″ x 7″ notebook. An increase in the iPad would usher in a completely new way to both take and organize notes in every way. Students would carry around a device weighing less than a pound instead of 50 pound backpacks. Entire file cabinets would be portable and travel from meeting to meeting. I know many people out there would say that talks about the “paperless workplace” or the “digital notebook” have been around for twenty years. Well, for once if Apple would take a step back and think about it, they could make that happen for both education and business and change the way everyone keeps notes. The iPad mini is not the answer, but the larger iPad Notebook just might be. This entry was posted in Apps and tagged amazon kindle fire, apple, ipad, ipad mini by eNotebook Team. Bookmark the permalink.